Past Patterns #801, fan front bodice, 1844 – 1850s. – The skirt is big and fun, made with nine yards of cloth. 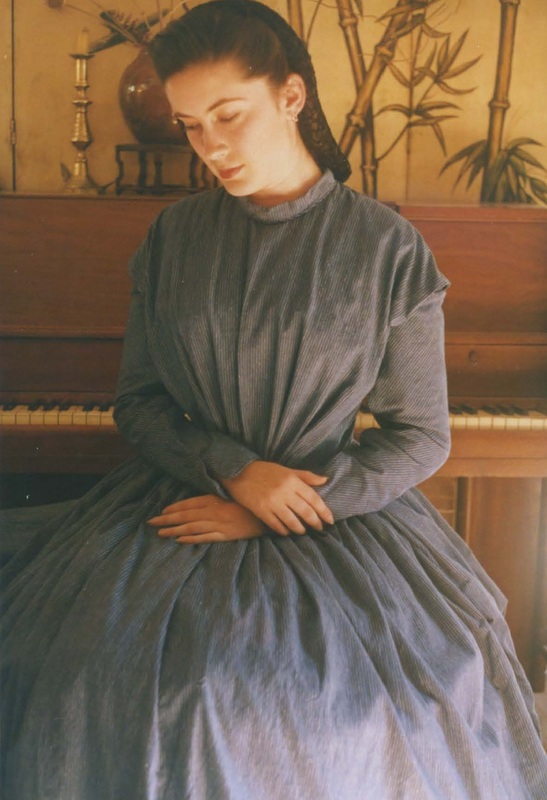 A while back I made these two historically accurate reproductions of Victorian dresses. I used Saundra Ros Altman’s Past Patterns #702 and #801. Past Patterns’ tagline is “The Historical Pattern Company Dedicated to Accuracy” and it is true – Past Patterns always has excellent patterns with very informative and detailed construction notes and historic notes. I did not encounter any fitting issues with these two. None of these photos show these dresses with the correct accessories, so I really should go out and take some new photos. You can find more information about Past Patterns below. Past Patterns #801, fan front bodice, 1844 – 1850s. – Why did I have to hold my arms over the fan front? The fan front turned out well, but unfortunately you can’t see it in this photo. 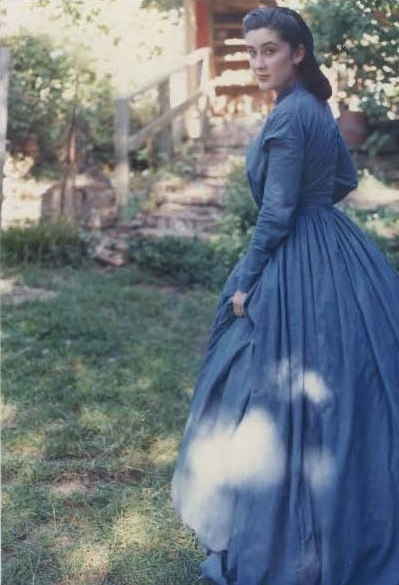 I know, I know, the hairstyle is not historically accurate 1844 – 1850s, and only vaguely late 1860s in silhouette. Past Patterns #702, 1850s – 1863 dart fitted bodice with full pagoda sleeves – This bodice is nicely and accurately fitted, showing off a lovely hourglass figure, especially when viewed from behind, and it has the characteristic dropped shoulder seams. 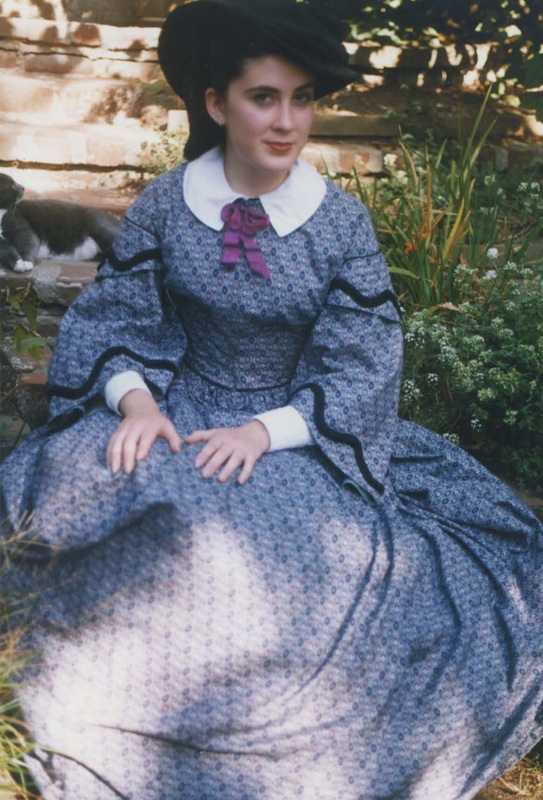 This entry was posted in Making Things, Sewing Vintage and tagged 1840s, 1850s, 1860s, civil war, dress, dressmaking, fan front, historic sewing, historically accurate, pagoda sleeves, Past Patterns 702, past patterns 801, retro, Saundra Ros Altman, sewing, Victorian, vintage. Bookmark the permalink.